Motorola Drops Google Location Services? Seriously…huh? Motorola and location guru, Skyhook Wireless, announced a partnership today that will strip Google location services from many of its Android-based devices going forward. Does this also mean that the much anticipated Droid 2 and Shadow devices will likely lose some of that “Google Experience” feel? Skyhook Wireless, the worldwide leader in location positioning, context and intelligence, today announced that Motorola, Inc. will deploy its Core Location across much of the company’s portfolio of Android-based mobile devices. Skyhook-enabled Motorola smartphones, which will begin shipping later this year, will have the ability to better support a new wave of location-aware applications by leveraging Skyhook’s precise, reliable, and fast-performing location engine. 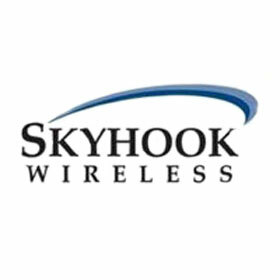 Skyhook is the recognized leader in mobile location technology and produces over three hundred million location requests every day over tens of millions of mobile devices. The ground-breaking Core Location uses a combination of Wi-Fi, cellular and GPS readings in order to produce a single, accurate location quickly and in all environments. Update: I should point out that this could mean we’ll still have all Google functionality and that Skyhook will simply run the location services on the phone, which as many of you have pointed out in the comments already, might not be such a bad thing.